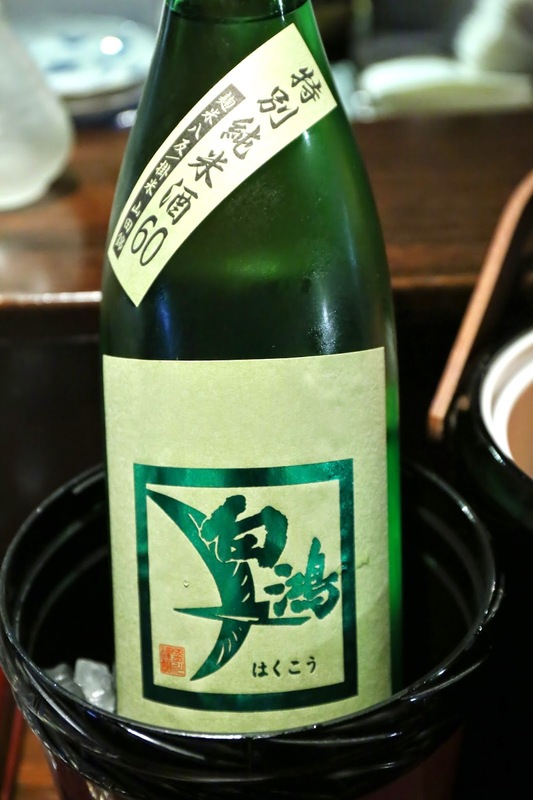 New Year's Eve countdown at Sake Bar GINN. Drinks at Mandarin Grill + Bar. 2003 Krug - the nose was surprisingly floral, although that could have been partly due to the scented candle on the table... 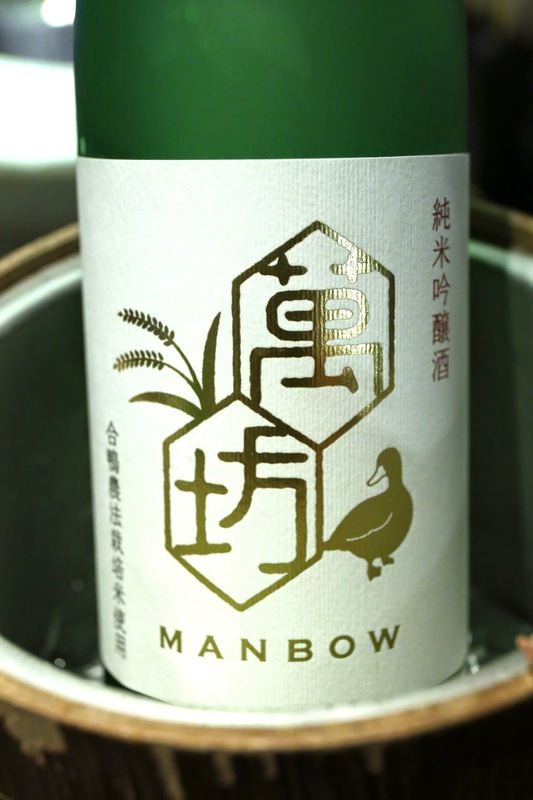 The wine was deep and rich on the palate, young and vibrant while not aggressive. Acidity balance was just about perfect for me. 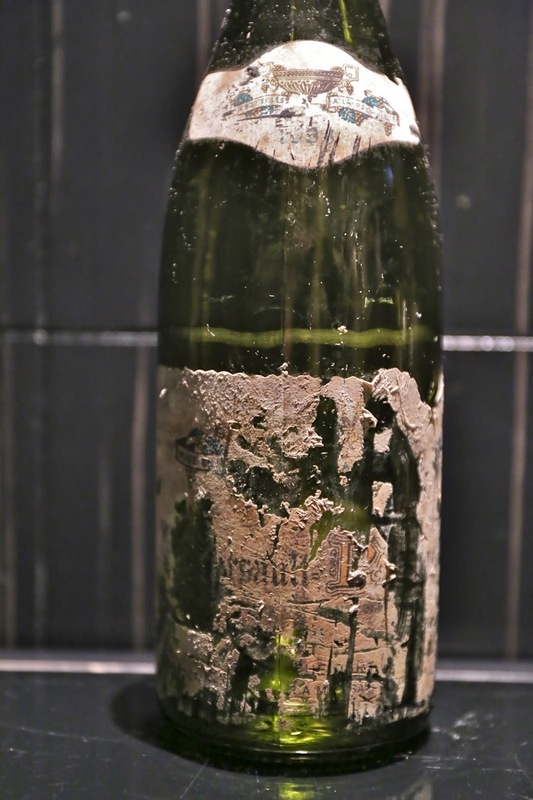 CL de la Chapelle Instinct Brut - I only had a sip, but this had higher acidity and was also a little more "clean". MNSC dinner at Hong Kong Club, hosted by Pineapple. First flight: opened 1½ hours prior to serving from bottle. 1994 Colgin Herb Lamb Vineyard - very sweet nose, with lots of coconut butter, exotic, tropical notes, minty. Nice forest and dried herbs on the nose. Surprisingly dry on the palate and not sweet. My first instinct was that this was a 94 Colgin, but was thrown off by the dry palate. I was ready to guess this was a 94 Harlan, but when someone offered a guess of Le Pin, I thought that also made sense... Should have stuck to my guns! 97 points. 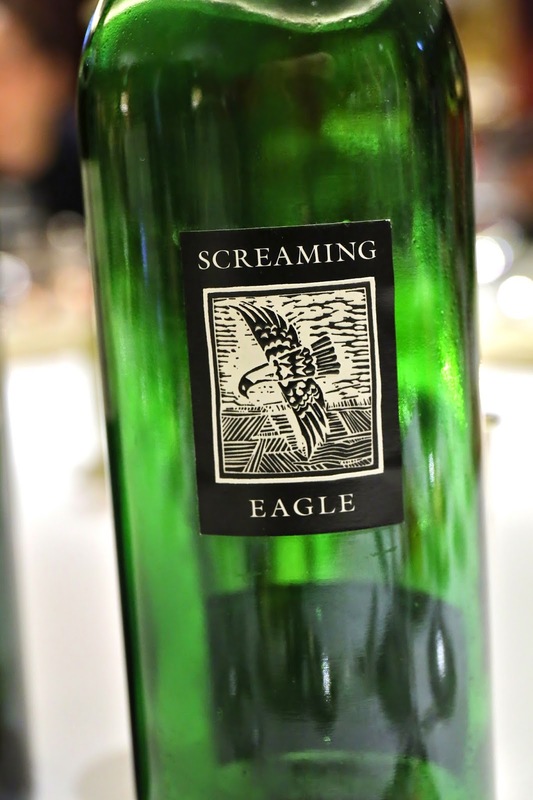 1994 Screaming Eagle - lots of forest pine, a little smoky, grilled meats, very classic Left Bank nose, plus some savory black olive at the end. Lots of sediment in my glass, and still some smooth and round tannins on the palate. Once again this showed me that for a very good vintage of this wine, I could never tell it was Californian at all... and always mistake it for a Left Bank claret! Second flight: opened just prior to serving from bottle. 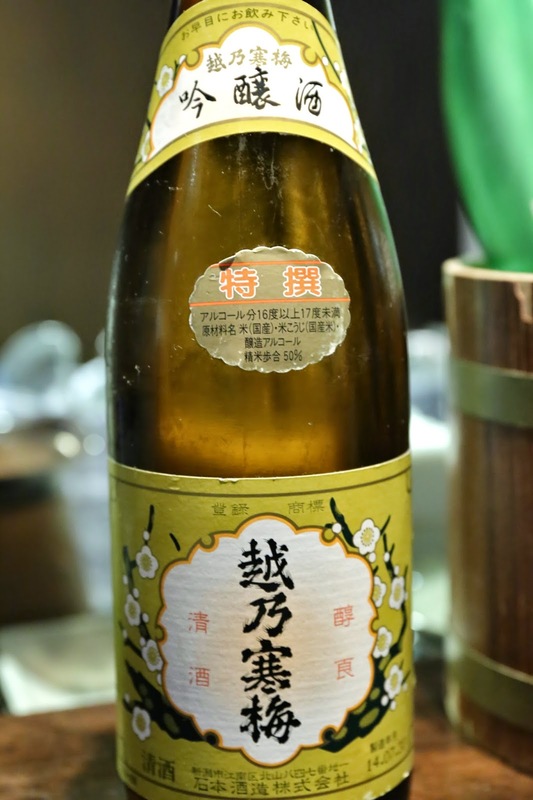 1984 Henri Jayer Nuits-Saint-Georges Les Meurgers - beautiful, floral nose of Mei Kuei Lu (玫瑰露)-infused Cantonese duck liver sausage (膶腸), and savory black olive. Nice acidity here. Had it been anyone else serving this wine without a label, I would have seriously doubted the authenticity of the bottle... 93 points. 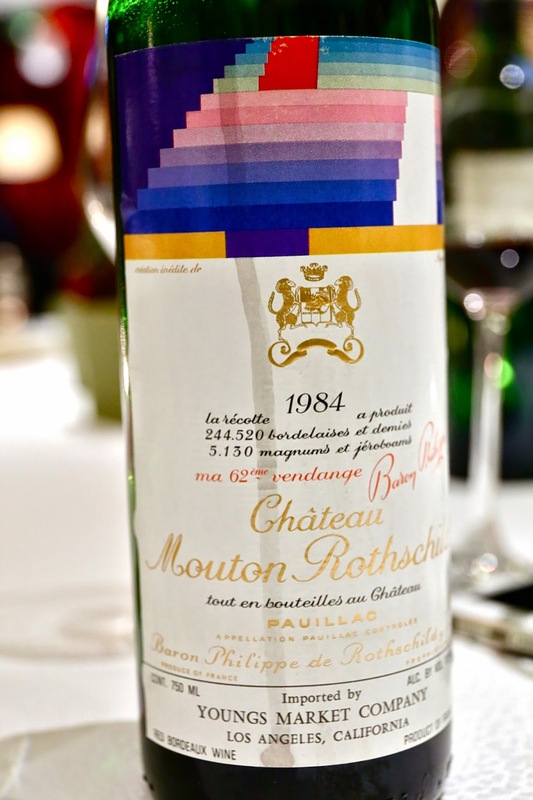 1984 Mouton-Rothschild - very meaty, a little stinky... nose of pencil lead, and a little savory. Acidity on the palate here, but could still feel the tannins. 94 points. Third flight: opened more than 2 hours prior to serving from bottle. 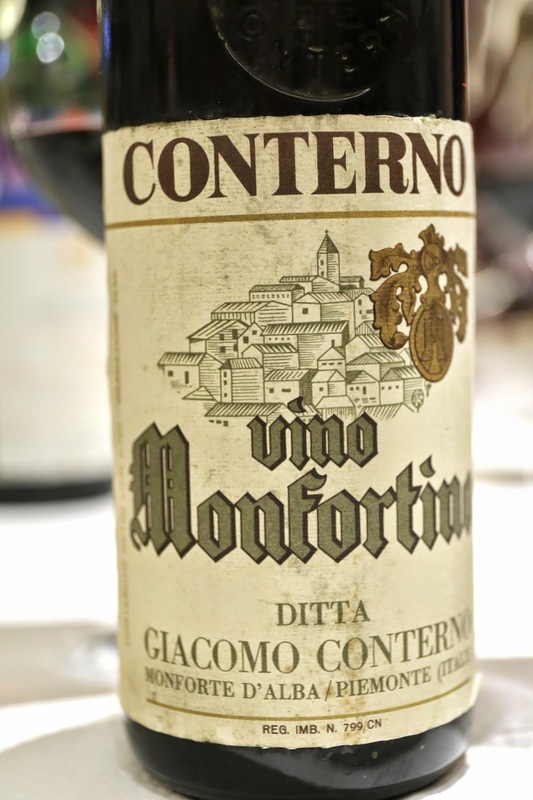 1964 Giacomo Conterno Barolo Vino Monfortino - very savory nose, with animal, blood, iron, and slightly dusty nose. 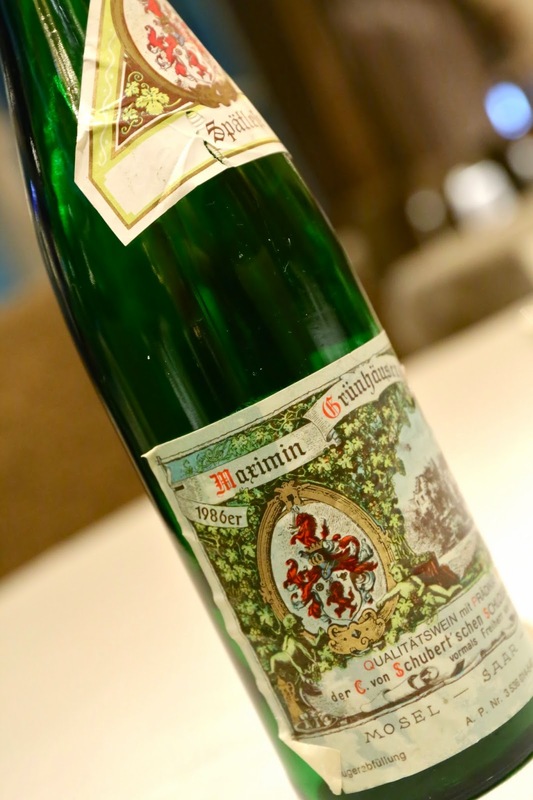 Acidic on the palate. 1964 Haut-Brion en magnum - wine was off so we did not taste it. Fourth flight: opened 3 hours prior to serving from bottle. 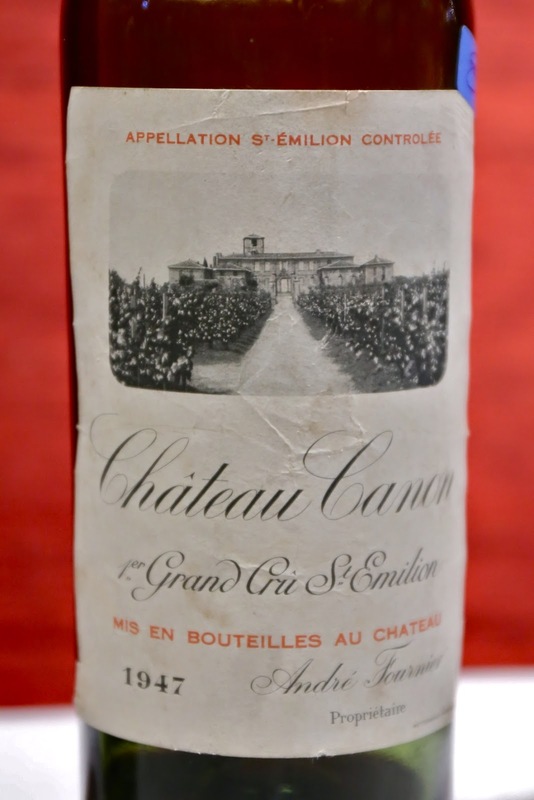 1947 Vieux Château Certan - really lovely and sweet nose, slightly metallic, some nice fruit, minty. Later on the sweet fruit disappeared and the nose turned stinky and very peppery. 90 points. 1947 Canon - big nose of sweet grass, with a good amount of sweet fruit, a little animal, and slightly stinky. 94 points. 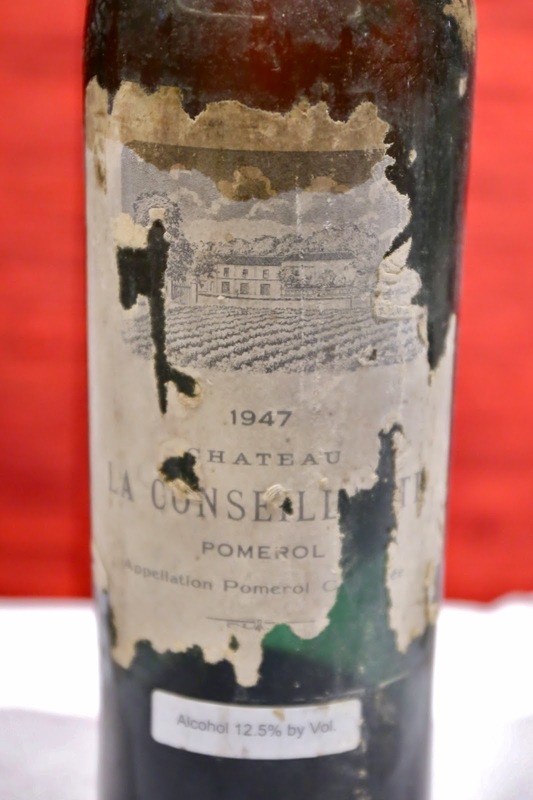 1947 La Conseillante - even more grassy and green than the Canon. Some sweet fruit here, but a little leaner. A little bit of savory soy sauce in the nose. 93 points. Dinner at Serge et le Phoque. 1983 Jaboulet La Chapelle - nose was very muted at first and the wine seems to be a little over the hill, after double-decanting for an hour. Some stewed fruits, and evolved later to reveal green pepper. Later still some burnt rubber showed up, with leather notes. After 5 hours finally some more fruit emerged. 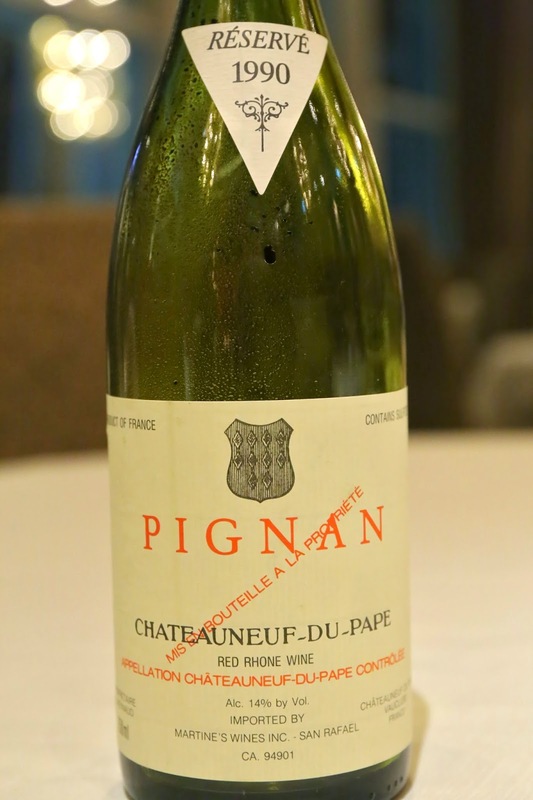 Ex-domaine stock with a curious plastic capsule inside the tin capsule. 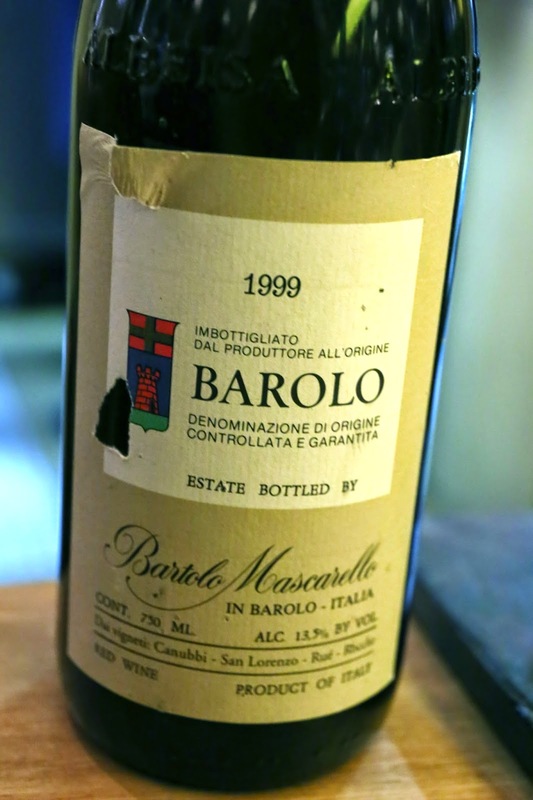 1999 Mascarello Barolo - savory black olives, pretty minty, smoky and earthy. Lots of tannins here but starting to soften up. 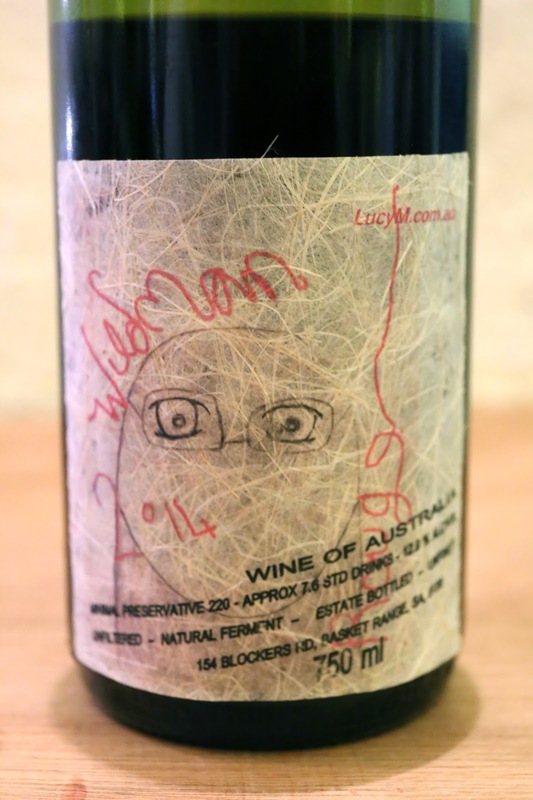 2014 Lucy Margaux Wildman Rouge - tasted blind. Nose was a little bit pungent, showing a little sulfur. 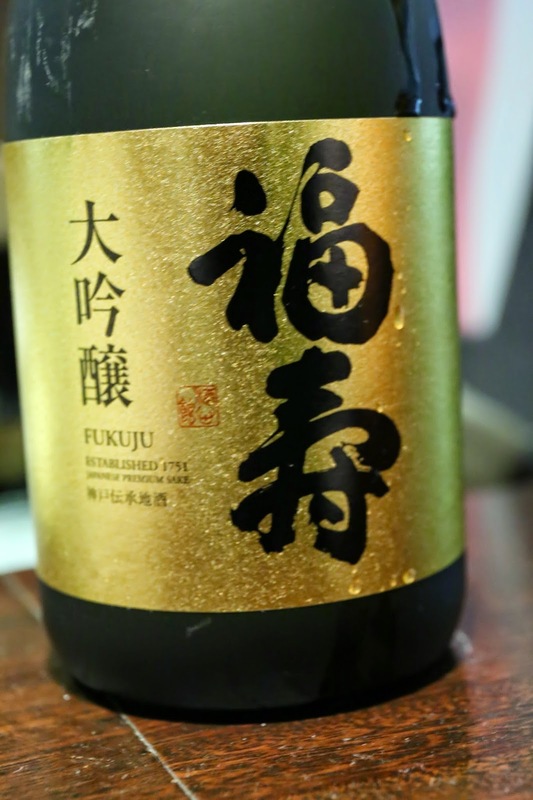 Seemingly from cool fruit, showing sweetness on the edges of the nose, but surprisingly dry on the palate. Also minty, dried herbs and potpourri in the nose. Turned out to be a Merlot-blend natural wine. Lunch at 8½ Otto e Mezzo Bombana. 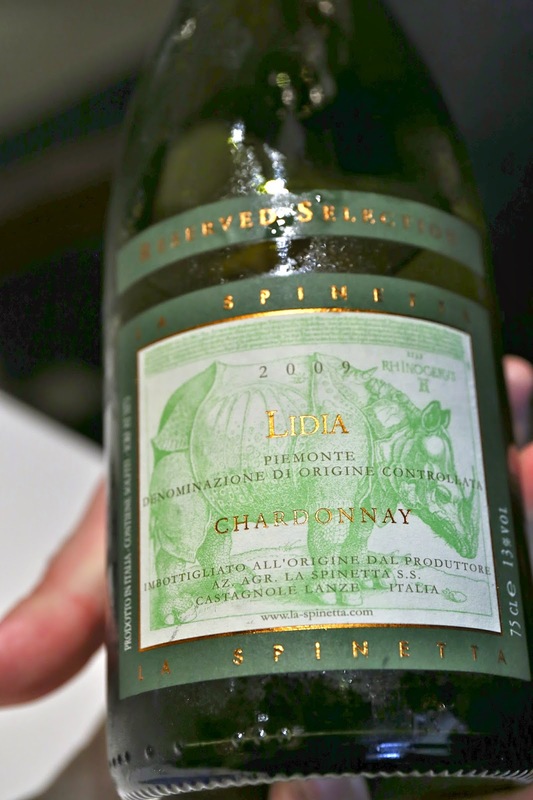 2009 La Spinetta Chardonnay Lidia - ripe on the nose with marmalade notes, and also ripe and sweet on the palate. Dinner at Tin Lung Heen. 2012 Schloss Johannisberg Riesling Kabinett Rotlack - nice and floral on the nose. Palate just a little off-dry with a touch of sweetness. 2009 DRC Vosne-Romanée 1er Cru Cuvée Duval-Blochet - nose of forest, woodsy, a little oak. A little pungent, like sulfur? Also some sweet fruit. MNSC dinner at Chiu Tang, hosted by Juliano. 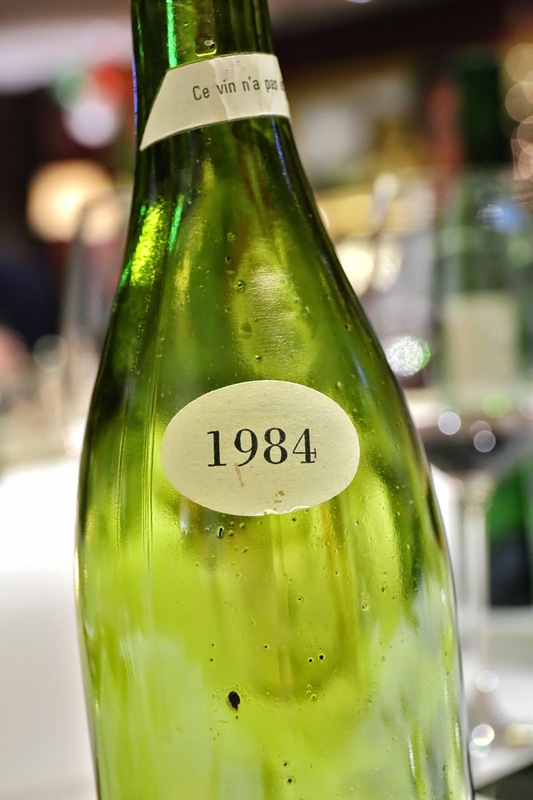 1988 Coche-Dury Meursault 1er Cru Perrières - beautiful and toasty, with a little ripe lemon and a little honey. 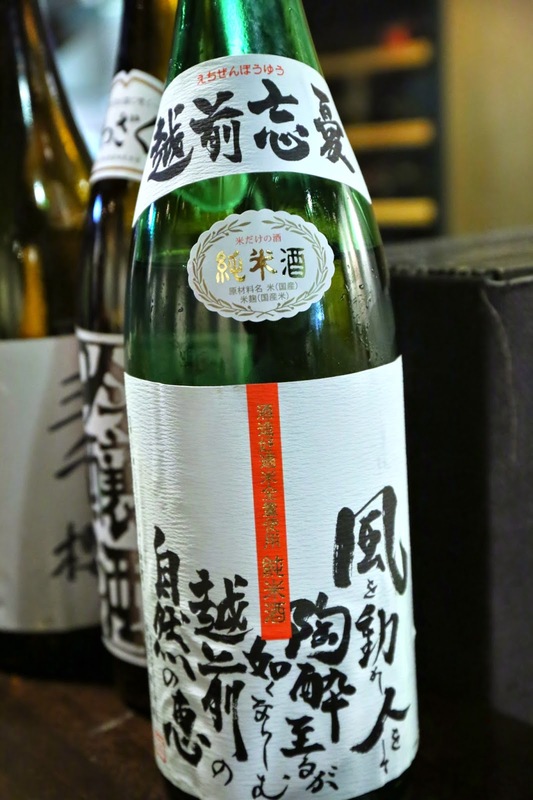 Acidic on the palate at first, followed by ripeness. Very nicely balanced. First pair: opened 1½ hours prior to serving, served from bottle. 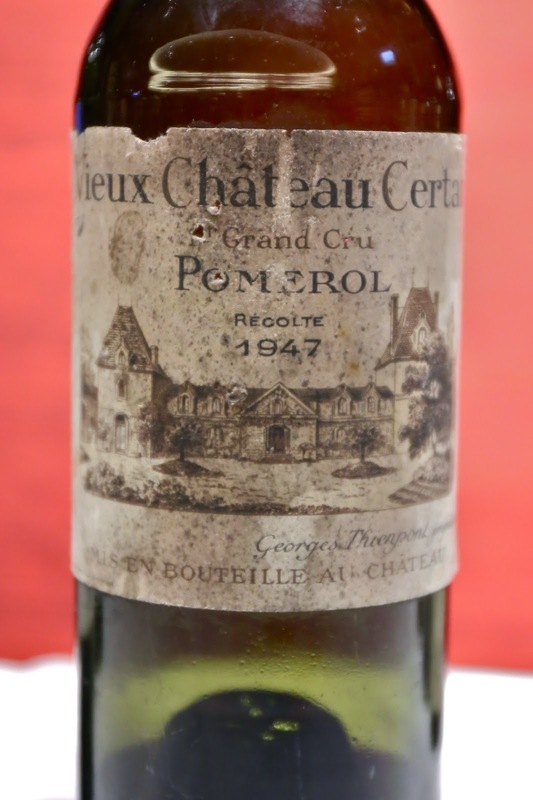 1971 Cheval Blanc - sweet grass, a little dusty, ripe fruit, animal, and leather. A little leaner than the Trotanoy. 95 points. 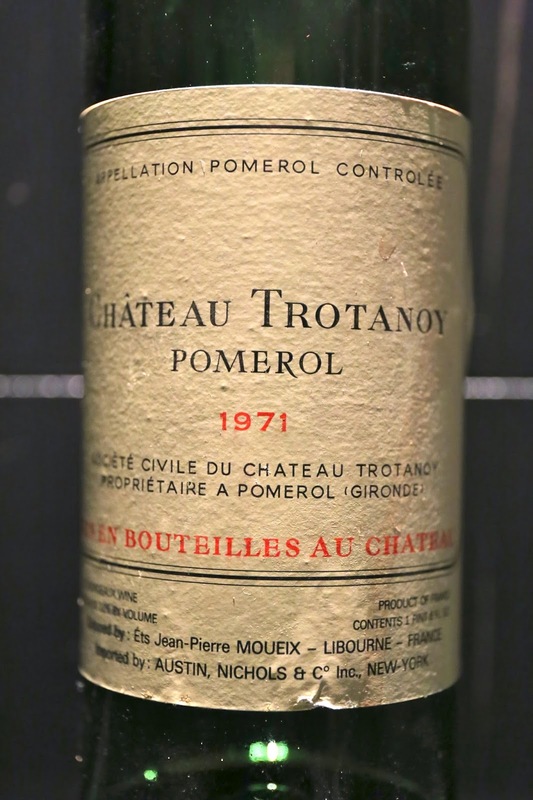 1971 Trotanoy - riper with more sweet fruit here, with leather and beautiful floral notes, also a little bit of grass, as well as smoke. Turned a little leaner towards the end. 96 points. 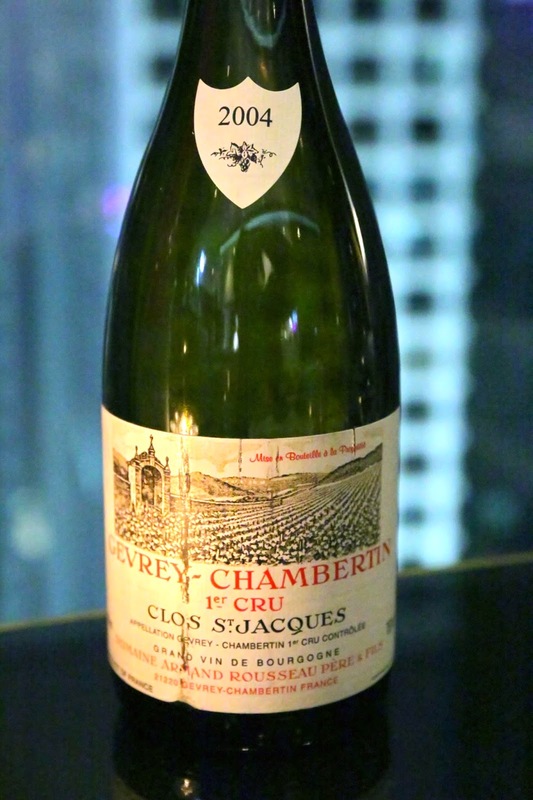 1978 DRC Romanée-Saint-Vivant - very distinctive and strong Chinese medicine notes in the nose, which never dissipated. There was fruit underneath, and actually rather pure. No points scored. 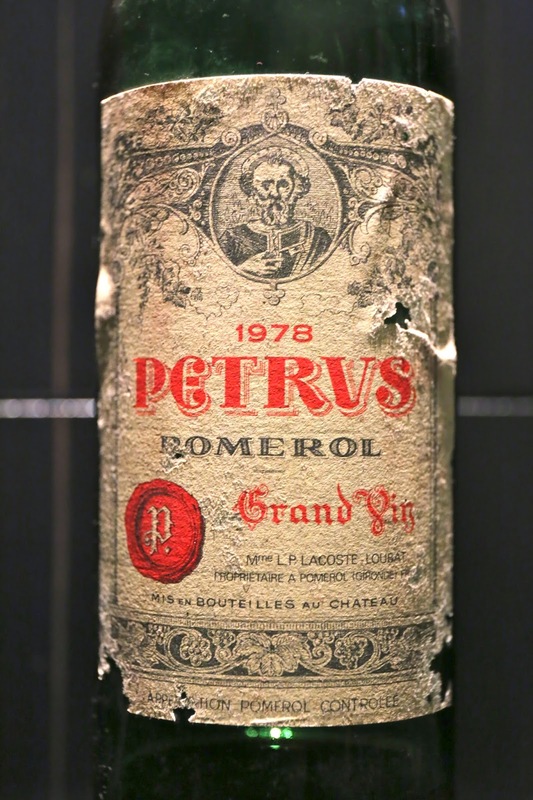 1978 Petrus - leather and grassy notes. A little lean. 93 points. 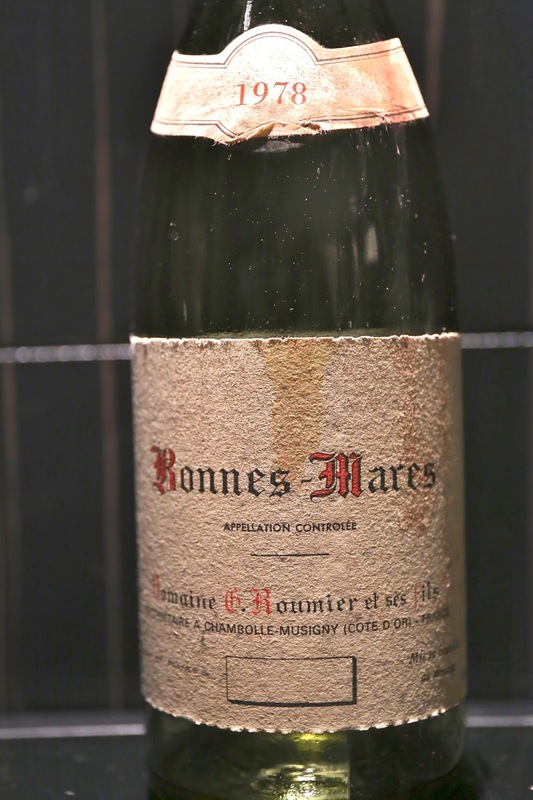 1978 Roumier Bonnes-Mares - very farmy with bacon fat. 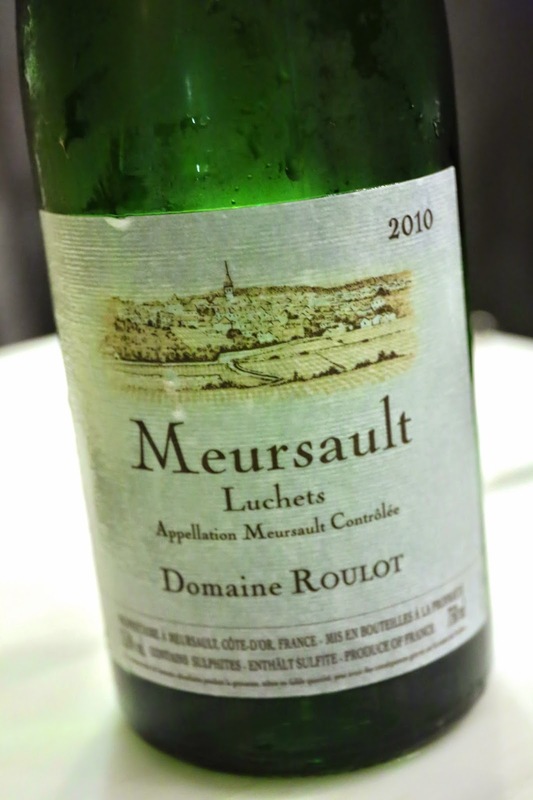 Very fragrant and open nose with a little mint, along with ripe, sweet fruit. 95 points. 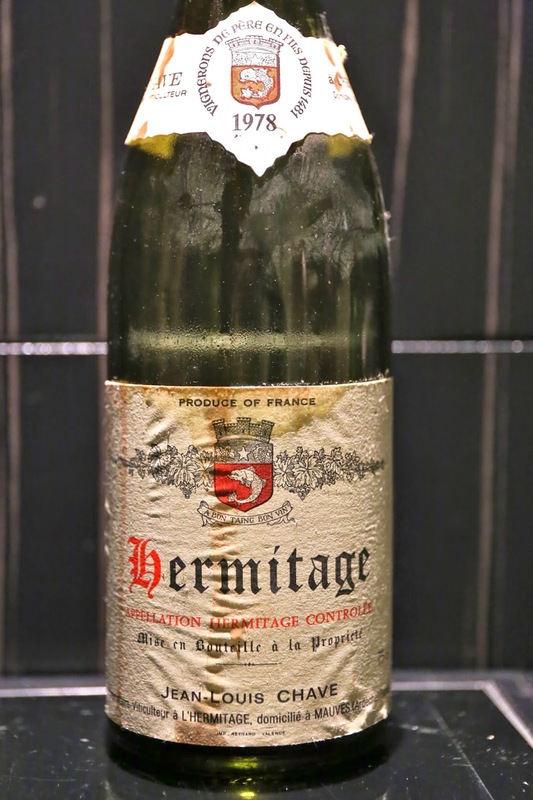 1978 Chave Hermitage - very prominent animal and leather notes, a little bit green with herbs, a little stinky with burnt rubber, and peppery. 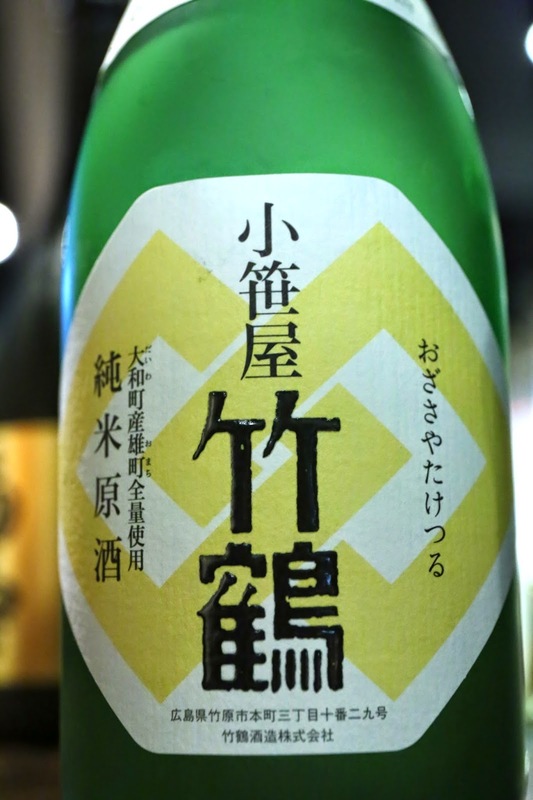 Acidic on the palate. 95 points. 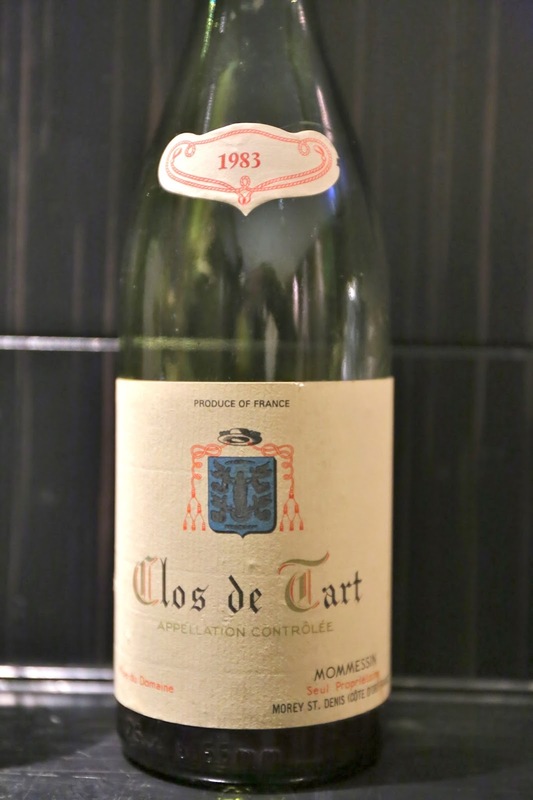 1983 Mommesin Clos de Tart - nice and ripe with sweet fruit, and a little smoky. 93 points. 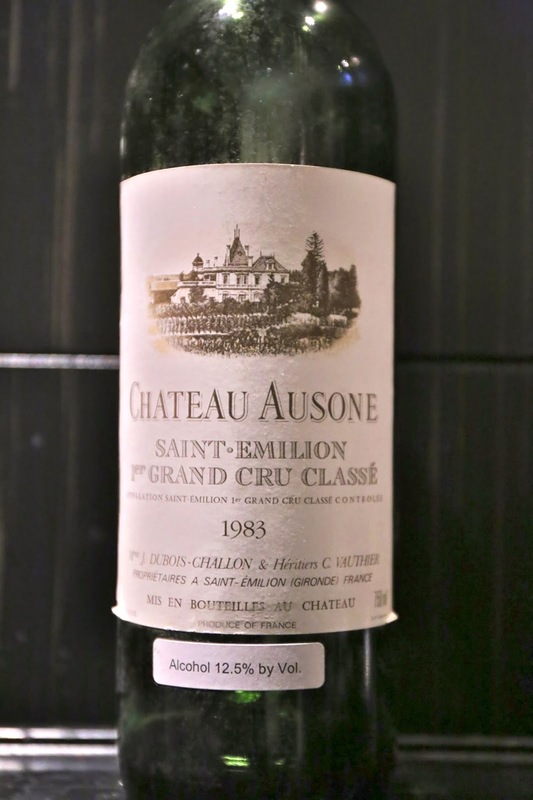 1983 Ausone - peppery nose with a little leather. 93 points. Full post on brunch is here. 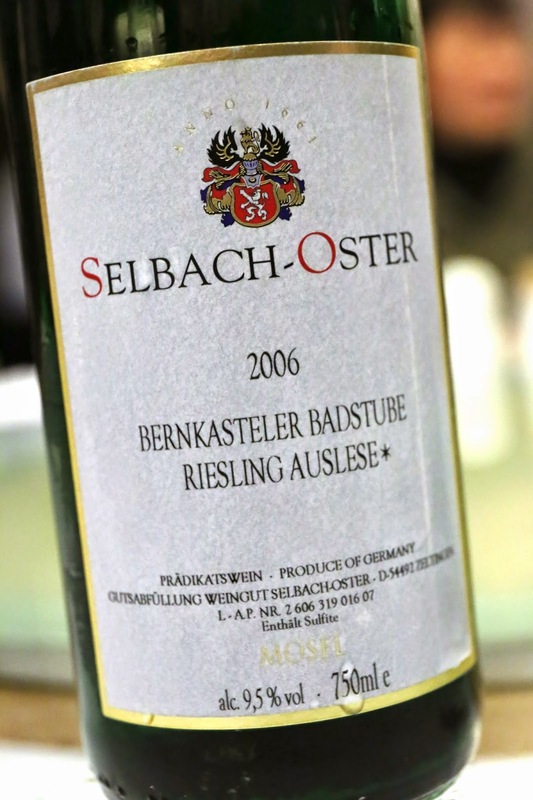 2006 Selbach-Oster Bernkasteler Badstube Riesling Auslese* - a little plastic, honey, orange blossom water. 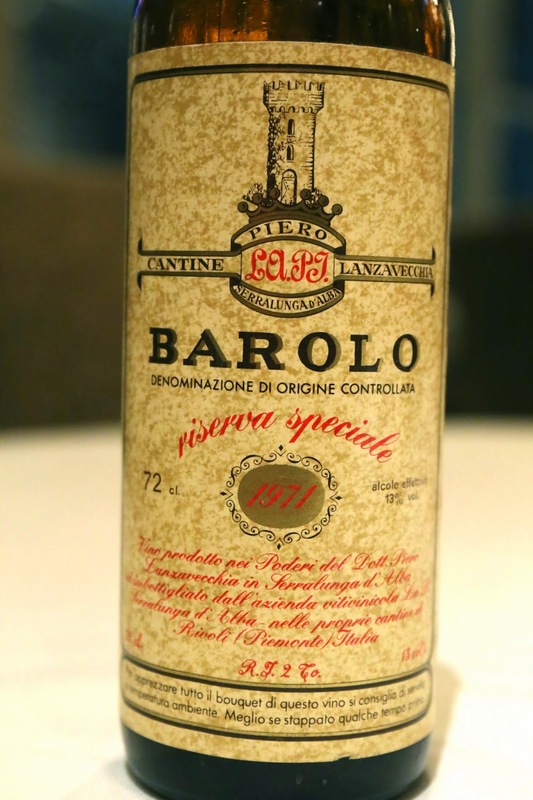 Very sweet, and probably more suited as a dessert wine. 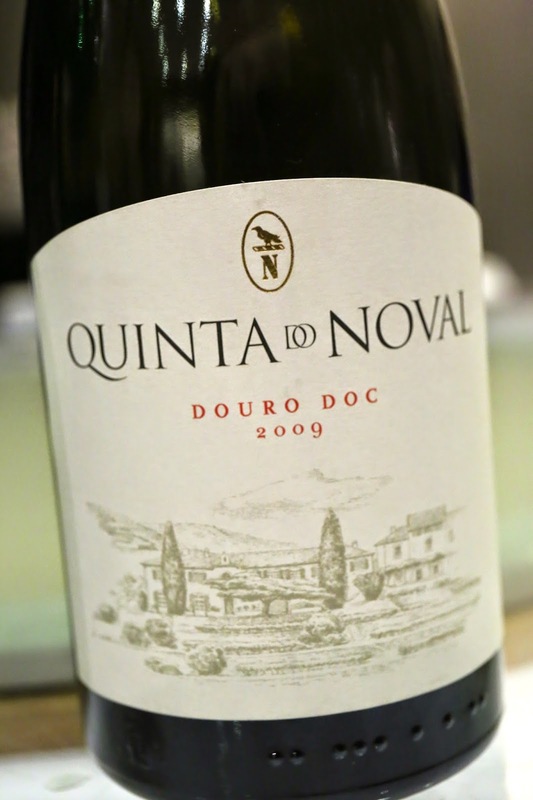 2009 Quinta do Noval Douro - ripe and sweet on the nose, jammy black fruits, with pine forest, and a little smokiness underneath the sweet fruit. 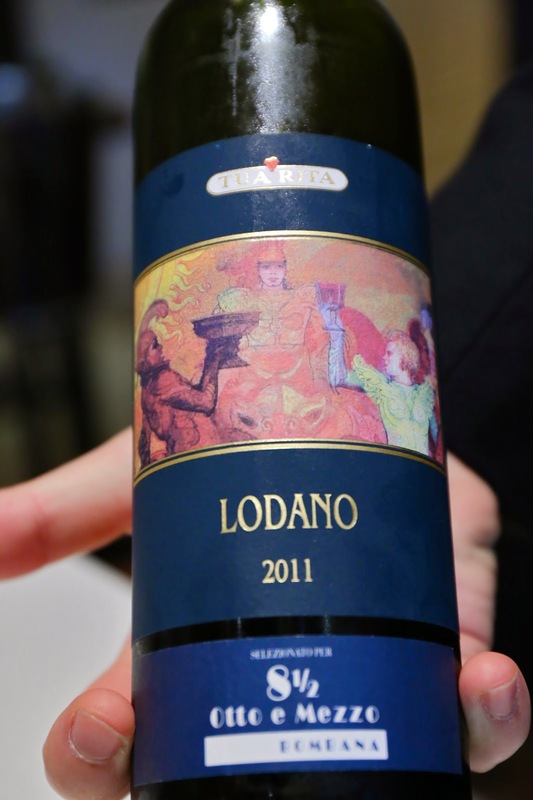 2011 Tua Rita Lodano - an interesting equal blend of Traminer, Riesling and Chardonnay, with annual production of 3,000 bottles. Very light with some oaky notes and lemon citrus. Nice acidity here. 2009 La Spinetta Chardonnay Lidia - ripe nose with toasty oak, caramelized around the edges, very fragrant and beautiful. 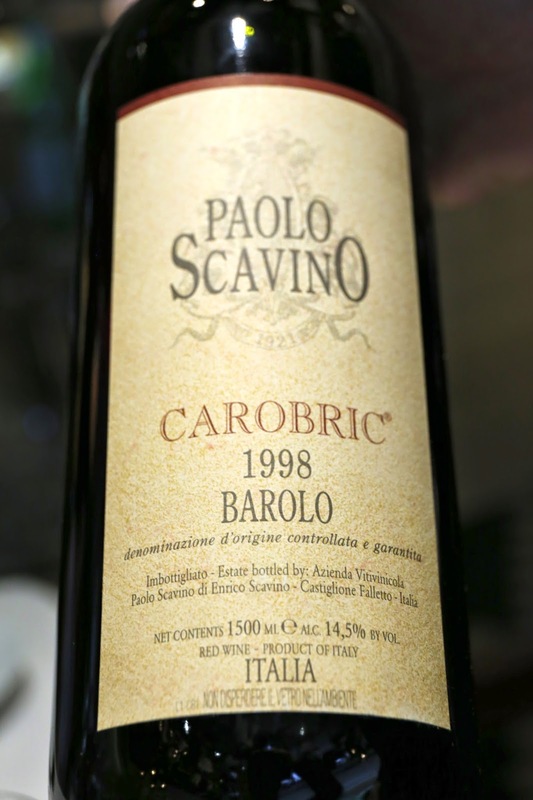 1998 Paolo Scavino Barolo Carobric from magnum - a really beautiful wine. 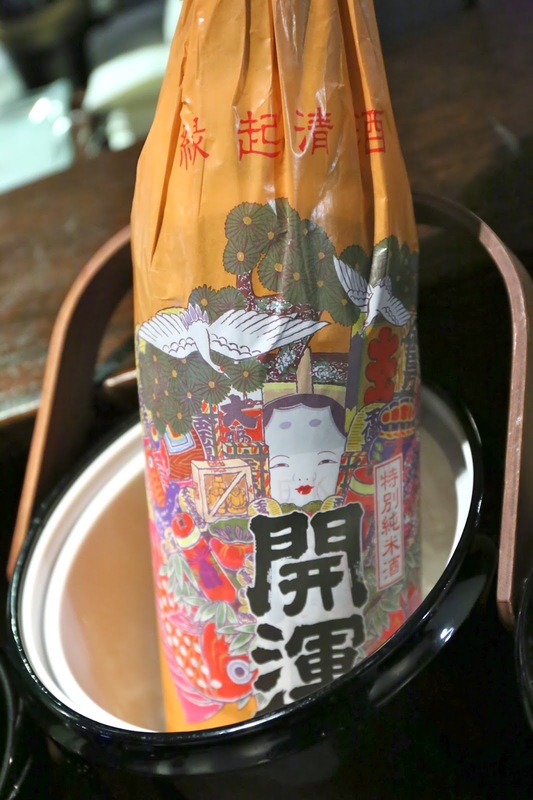 Nose of dried herbs, forest pine, very ripe and fruity. Nice acidity here with some tannins. Ca' del Bosco Cuvée Annamaria Clementi Rosé, vintage unknown - nose of raspberries, kinda ripe, a little toasty and yeasty. 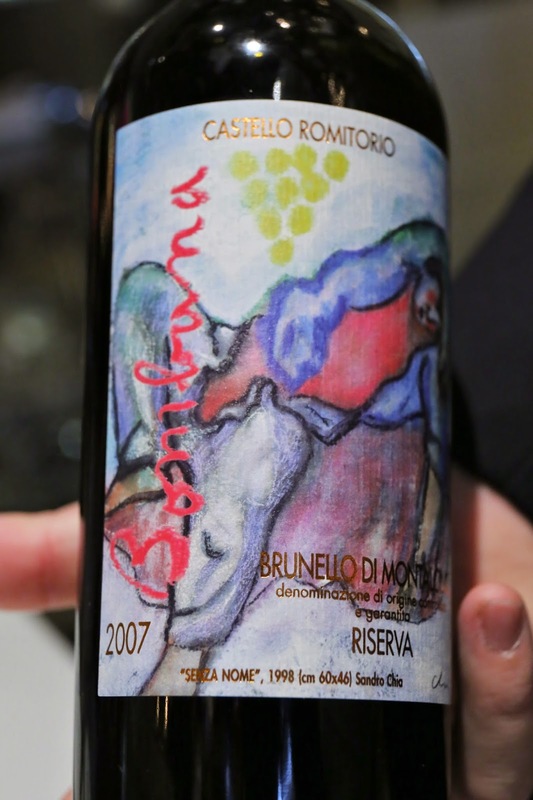 2007 Castello Romitorio Brunello di Montalcino Riserva "Bombana" - very toasty nose with forest notes, ripe on the nose but lean on the palate, with some tannins here. 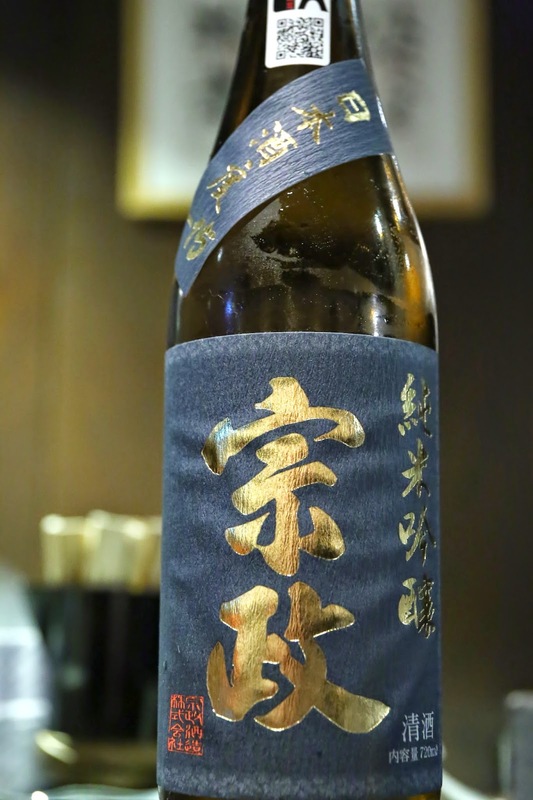 A very beautiful wine. 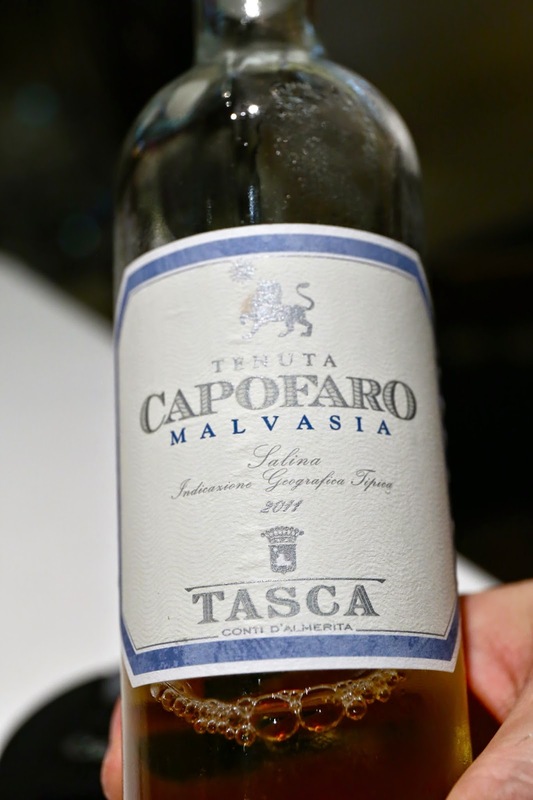 2011 Capofaro Malvasia di Salina - pineapple, honey, glycerin, bitter orange, and a little nutty.